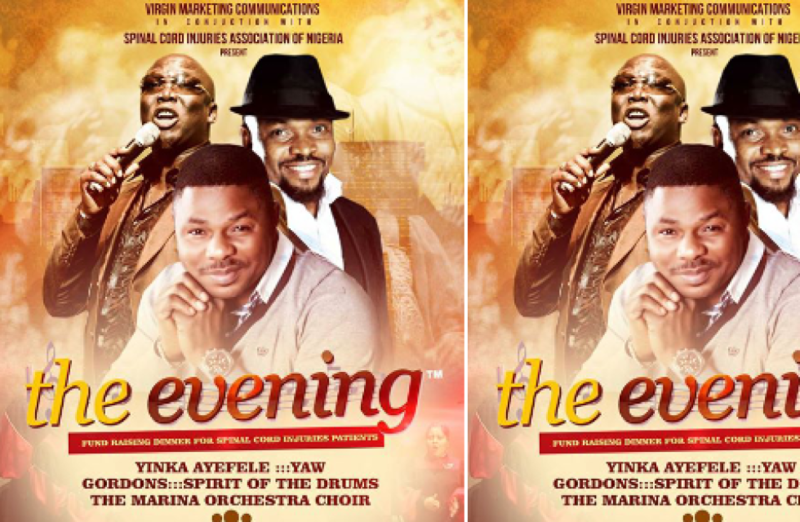 The Evening by Opa Williams is a black tie event featuring A list talent like Yinka Ayefele, Yaw and Gordons to mention a few. The event is scheduled to take place at Shell Hall, Muson centre, Onikan, Lagos Island on December 7th 2014. The focus of the event is to raise funds for spinal cord injury patients and those whose dreams have been crushed by back injuries.